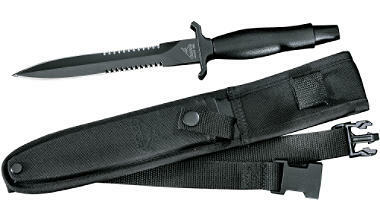 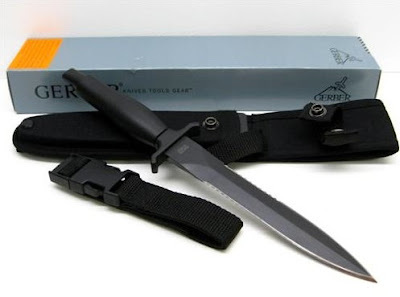 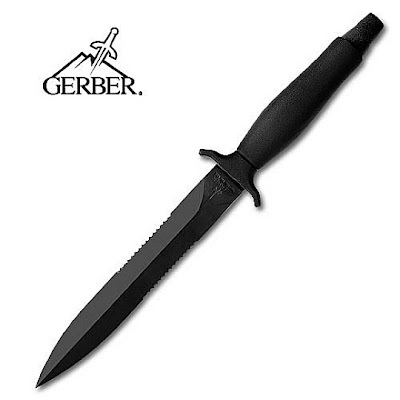 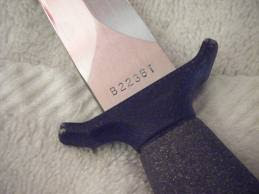 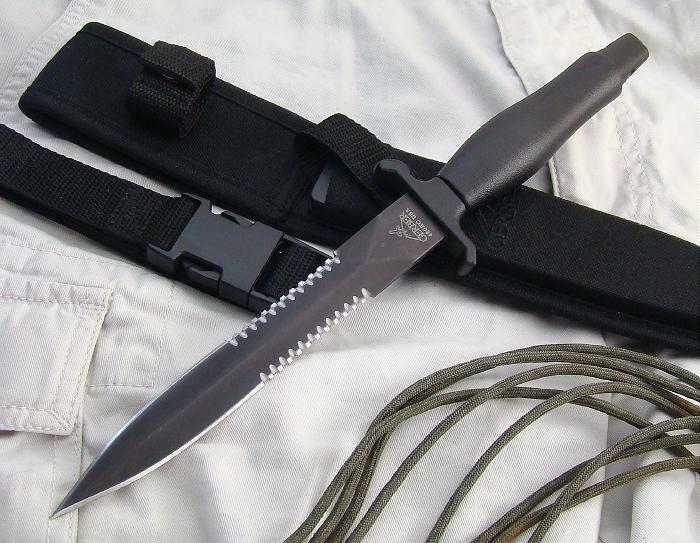 The Gerber Mark II is a fighting knife manufactured by Gerber Legendary Blades from 1967 to 2000, with an additional limited run of 1500 in 2002, and full production resuming as of July 2008.It was designed by retired Army Captain Bud Holzman, who based the pattern off a Roman Mainz Gladius. 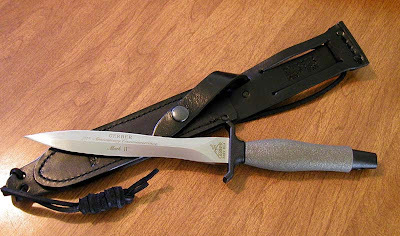 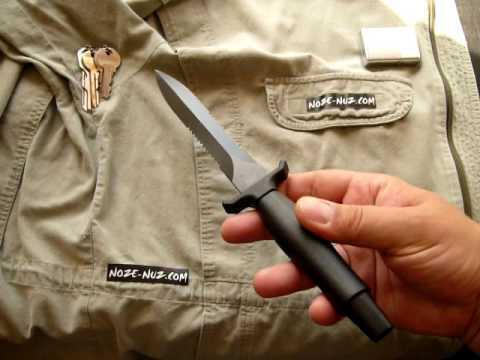 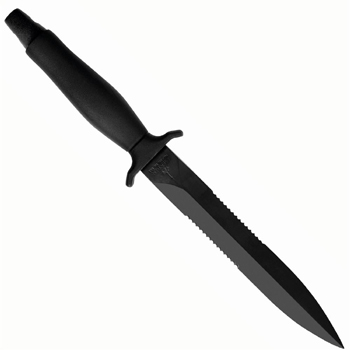 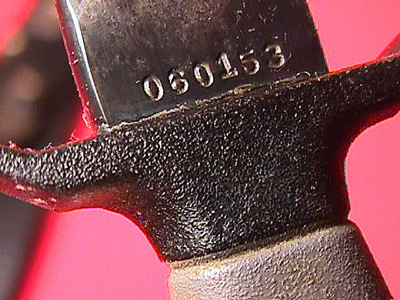 It has a double-edged spear-point wasp-waisted blade, and used a distinctive handle similar to that of the Fairbairn-Sykes Fighting Knife developed during World War II for the British Commandos. 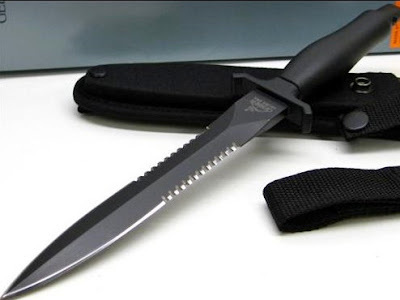 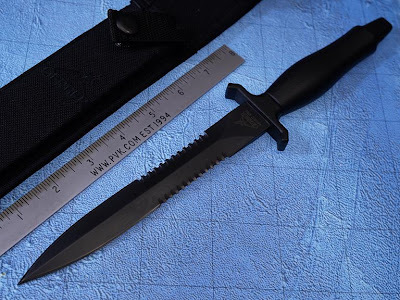 The Mark II was commonly carried by U.S. troops in the Vietnam War, and was second only to the Ka-Bar knife in fame.The MK II was the suggested blade in Paladin Press's controversial how-to book, Hit Man: A Technical Manual for Independent Contractors. 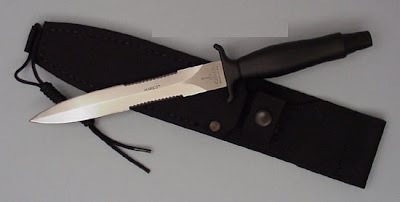 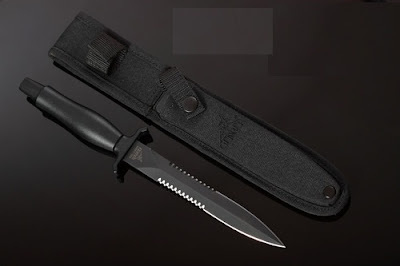 During the Vietnam war, the first production run of this knife had a 5-degree offset between the blade and the grip in order to ride in the sheath more comfortably and give the user a grip similar to that of a fencing foil.This design feature lead to a significant amount of knives being returned by users for having a "bent blade", so Gerber discontinued that element on subsequent production runs. 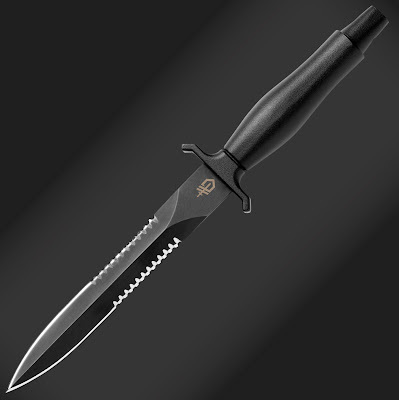 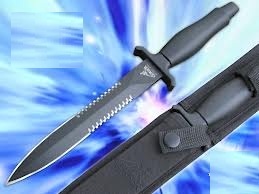 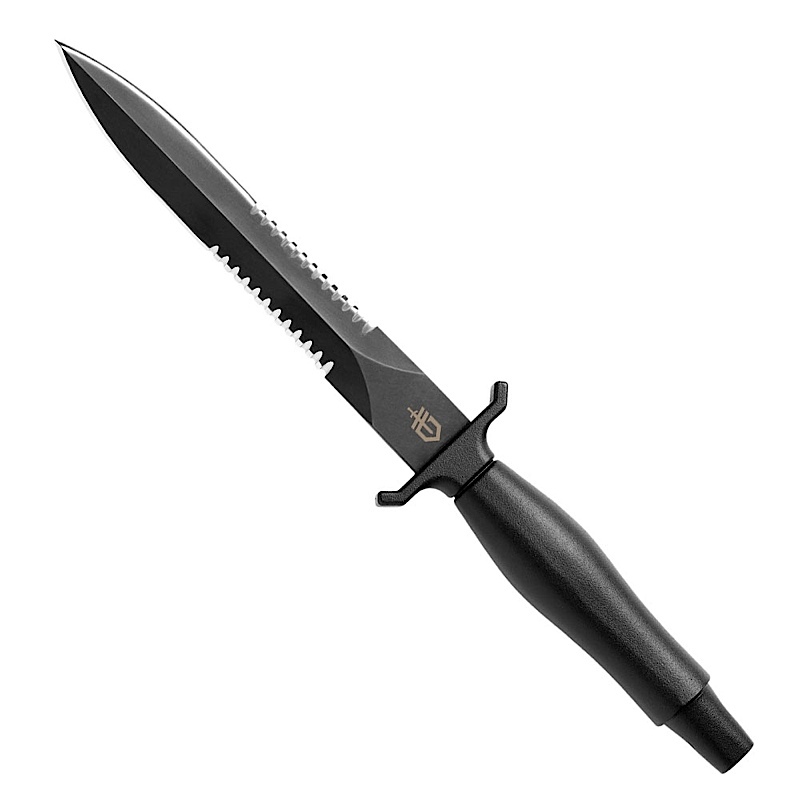 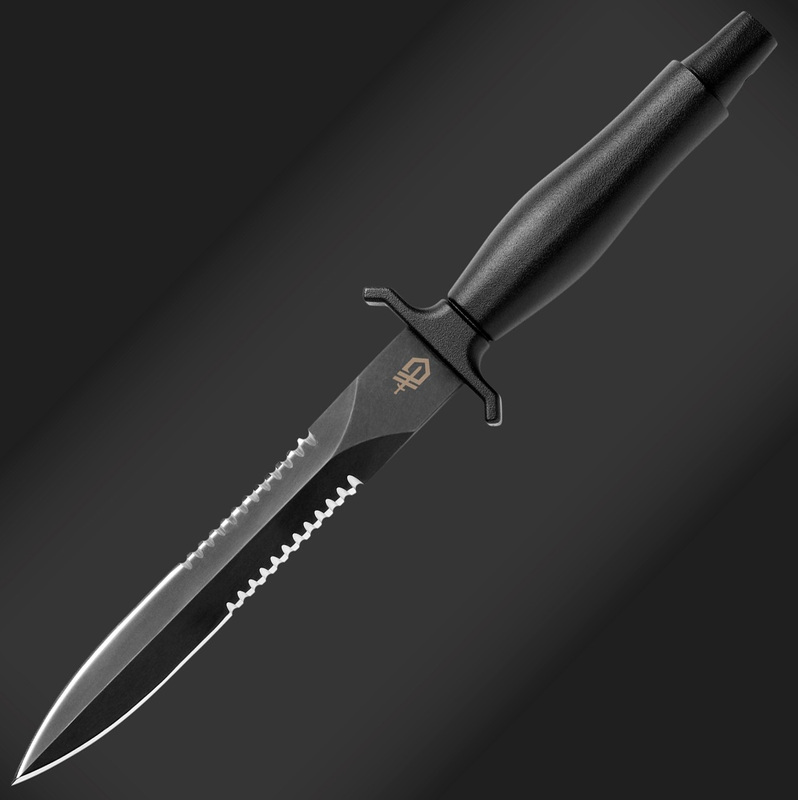 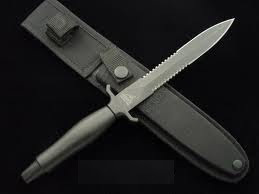 In the 1970s, the military's base/post exchanges discontinued selling these knives, reasoning that they were "not in good taste" or "too brutal".Al Mar, then working for Gerber as a knife designer, added the sawtooth serrations toward the hilt, marketing the knife as a "survival aid", making it more appealing to the PX System, which resumed selling the Mark II as a survival knife, rather than a fighting knife. Gerber manufactured a scaled down version of the Mark II known as the Mark I. 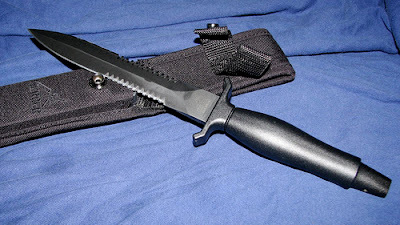 The Mark I had a 4 3/4" long blade and was marketed as a boot knife.